On what was once looked forward to as a yearly celebration, the eve of Dave Matthews Band's summer tour kickoff, a rather sobering bit of news grabbed the headlines and forced us to split our attention. On Thursday afternoon, pop culture website Consequence of Sound published a story detailing a lawsuit that had been filed in Washington state on May 17th against Boyd Tinsley. The article goes into detail regarding the allegations contained in the lawsuit, filed by James Frost-Winn, a former trumpet player in Tinsley's band Crystal Garden. AntsMarching.org has chosen not to relay those details, as they can be found and read easily elsewhere, and as they are contained in ongoing litigation, they are as yet unproven. Late into the evening, multiple sites such as Rolling Stone, Billboard, People and Relix began reporting that another statement by the band had been released, this time with a different tone: "Though Boyd is no longer a member of the band, we are shocked by these disturbing allegations and we were not previously aware of them," the statement said. Parsing that statement, it's not too difficult to see that the band is clearly distancing itself from Tinsley, both past and present. What this changes in the dynamic of the band versus where things were on February 2nd are unclear. 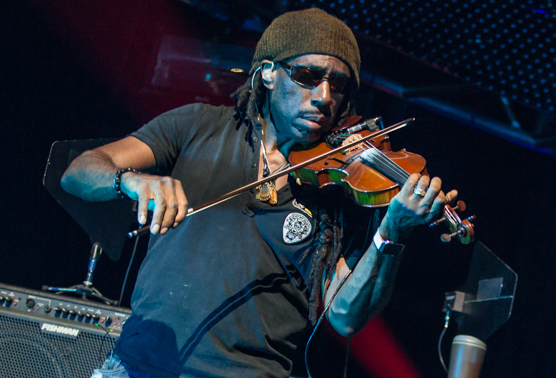 The facts that matter as far as the tour go remain the same; Boyd Tinsley will not be joining the band on tour this summer. It now sounds like he may never rejoin. We have reached out to the band for comment and will update this story if necessary. Updated 5/20/18 at 7:50am PST: In the third paragraph, we pointed out the apparent dichotomy between two statements that the reader is led to believe were made just moments apart. Since then, Ants has learned that the original statement by the band's PR firm was in response to a generic question about Tinsley's status with the band, prior to the news breaking about the lawsuit. Consequence of Sound posed this question without context and thus were given the canned response. CoS's article doesn't make this distinction, and instead allows the reader to believe that both statements were made in the context of the lawsuit details.